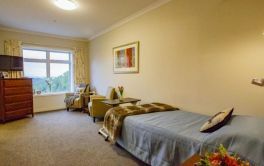 Bupa Waireka Care Home is located in Pahiatua, Pahiatua and offers Rest home care, Geriatric aged care in a 59 bed facility. × Have you visited this facility? Help others who are looking for a place by posting a review on Bupa Waireka Care Home or review a different facility now. You do a fantastic job looking after Gran, couldn’t fault the nurses.